Först is a relatively new brand focused on quality and value. 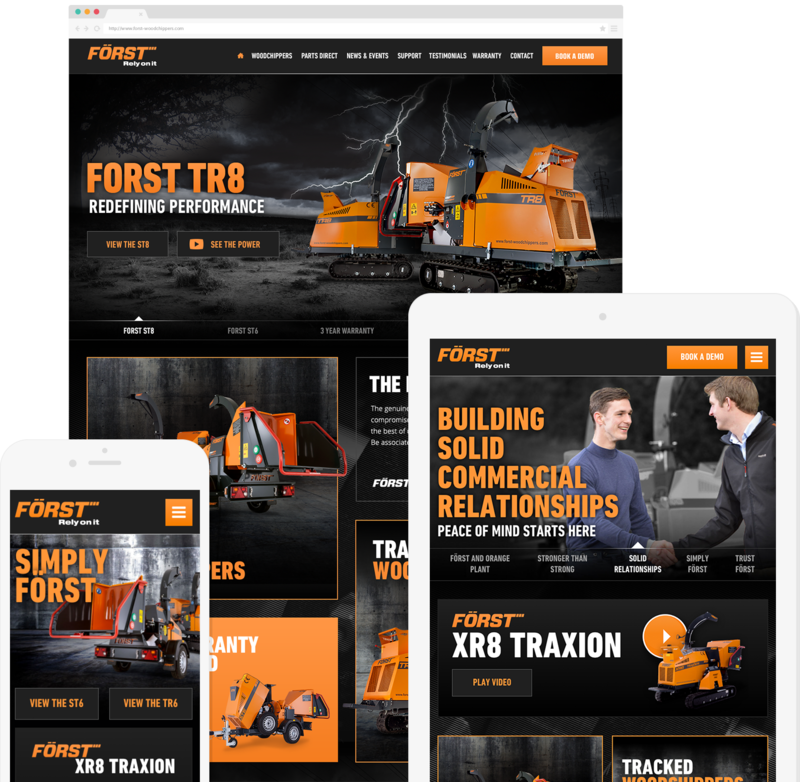 With the launch of two new models, Först realised their existing website would not be able to accommodate these and future product launches. The brief to Evosite was to design and build a site that would reflect their brand values and allow for unlimited product expansion. The result is a strong, confident design that oozes quality and perfectly highlights the attention to detail present in all Först machinery. Understanding and mapping user journeys was a critical feature of the Först website design. Because we were going beyond a simple online brochure and needed to generate sales leads we had to define specific user goals such as booking a demo. The design and content presentation then had to guide users towards those goals. Alongside this the site design needed to reinforce the core brand values of quality, reliability and trust, while clearly presenting product features, warranties and customer support. We recognised early on that all of these were factors in convincing potential buyers to make an enquiry or booking a demo. Redwood Global, owners of the Först brand also asked Evosite to create a brochure website to explain the company behind the brand. The site gives background information about the company and the people while reinforcing their focus on customer service. The brief was to create a site that shared some characteristics with the Först site but still had a distinctive look and feel. A wealth of product information is also provided through innovative and interactive graphics with lead capture opportunities offered through rental enquiries and demo bookings. Incredibly happy with what Evosite have produced for Redwood Global and Först. They can really grasp the brand personality, our voice and convey that on a visually stunning, easy to use website. Highly skilled team of experts that deliver on every project we have worked on together.